Playing team sports has advantages. 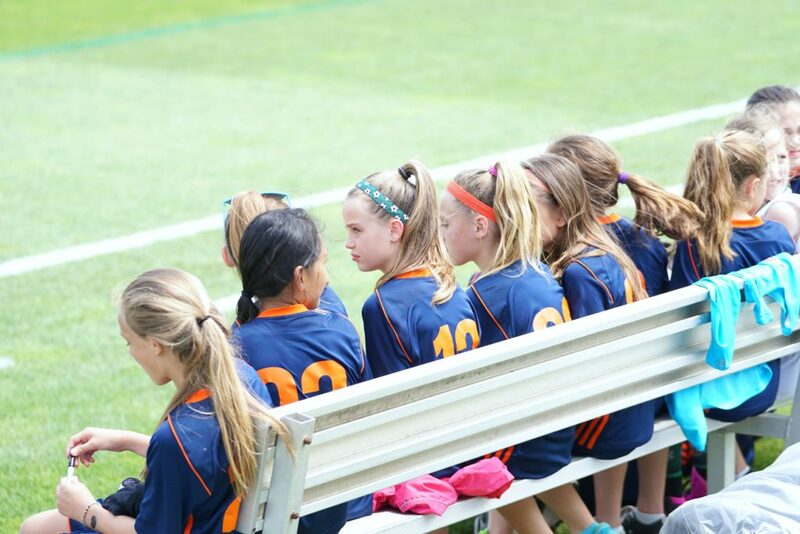 Kids learn teamwork in a fast-paced environment where decisions need to be made instantly. Playing team sports encourages physical and mental health, increased confidence, and leadership skills. Kids also learn (hopefully) that it’s not a big deal to lose a game – a lesson to apply in every area of life. Despite the benefits, kids who play sports are at risk for serious injury, whether they’re on a school team or play for a local league. If your kids play sports, you can’t put them in a bubble to protect them from life. Read on for 5 ways to mitigate the risk of serious injury. Experts agree that even small head injuries can kill brain tissue by disrupting blood flow to the brain. Since many symptoms are invisible, head injuries that appear to be insignificant can turn out to be life-threatening. The most common head injury kids suffer in a sports-related situation is a concussion. According to Marks & Harrison, a concussion is one type of traumatic brain injury (TBI). While a concussion is usually mild, that’s not always the case. A TBI can cause extensive damage to the brain and the victim may fall into a coma. Sometimes life-threatening complications arise from a head injury, and often, people don’t realize the extent of their injury. It’s important to take your child to the emergency room immediately following any head injury, and schedule a follow-up appointment with their doctor a week later. Some issues take time to develop and won’t be visible right away. For example, if your child hits his or her head hard enough, they could develop a subdural hematoma, which is life-threatening and often requires surgery to drain. You won’t necessarily see the hematoma during your ER visit, as it takes time for the blood to collect. Sports equipment is expensive, and you can expect to pay several hundred dollars to gear up each kid. Some sports – like hockey – require more protective equipment than others because the risk of injury is greater. Make sure the gear you buy is manufactured by a company with a good reputation. Don’t buy used protective gear if you can help it, especially if it’s designed to protect your child’s head. You may be able to get away with used shin guards for soccer, but you can’t get away with a used helmet for hockey. Shin guards are designed to withstand continual impact; helmets aren’t. Sports professionals recommend replacing a helmet after any major impact, even when the helmet doesn’t look visibly damaged or cracked from the outside. You don’t know the history of a used helmet, so it’s better to buy new. Helmets need to be replaced after an impact because the impact weakens the inner foam lining that provides the protection. It doesn’t matter if it’s a bike helmet or a hockey helmet. Wearing a weakened helmet puts your child at risk for a traumatic brain injury – a potentially deadly yet preventable injury. 3. Prepare your kids for playing sports during P.E. When kids play on an organized team, parents are given a list of required equipment and are informed of potential injuries. When kids play sports as part of physical education, it’s up to the administrator in charge to inform them of potential injuries and distribute proper protective equipment. In this situation, you’ll have to trust that the school’s equipment is in good shape. Unfortunately, many kids sustain injuries due to malfunctioning protective gear, and you won’t know the gear is damaged until it’s too late. It’s not practical to send your kids to gym class with their own gear for every sport they play, but you can protect them in other ways. Get your kids a couple of mouth guards to keep in their gym locker. Let them know how important it is to wear a mouth guard. They may choose not to at first, but if they see another kid get kicked in the mouth accidentally, they’ll change their mind. Some researchers have recently proposed that while helmets and mouth guards should be worn, they might make sports more dangerous. Their reasoning is protective gear might encourage some players to take greater risks in the midst of competition as if they are indestructible. Growing up, I played a lot of sports and suffered a concussion. Thankfully, my parents brought me to the hospital straight away. Protective gear doesn’t make anyone invincible. Talk with your kids and encourage them to protect their bodies and use common sense while playing sports; it could save their life. What precautions do you take for your kids in sports?